As a self-confessed beauty junkie, my makeup bag is probably (read: definitely) more valuable than my car. Don't think I'm joking, either. 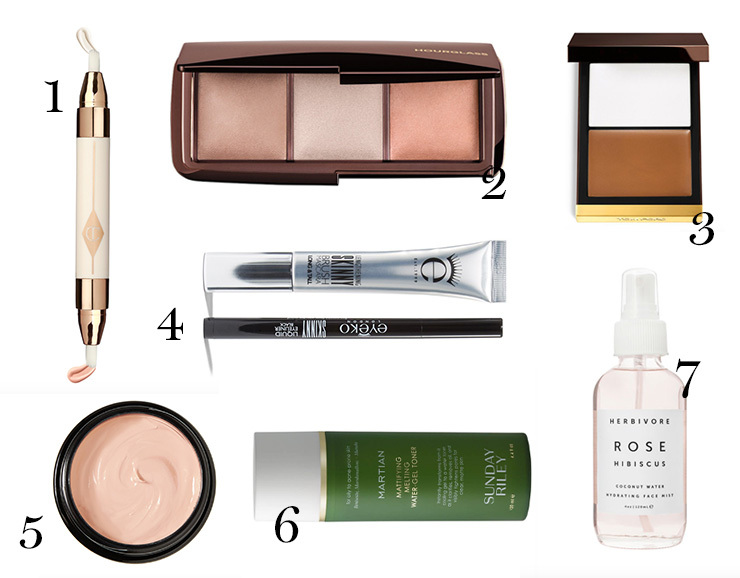 These are the beauty products we simply cannot live without. For ultimate under-eye bag banishment, Charlotte Tilbury’s Mini Miracle Eye Wand is exactly that; a miracle worker! Hourglass’ Ambient Lighting Palette is better than any Snapchat filter! A God amongst highlighting mortals. Mr. Ford, we are not worthy! Replace your regular rosy glow with this luxe contouring palette for peak cheekbone status. If it’s good enough for one Alexa Chung, there’s space in my makeup bag any day. Eyeko’s Skinny Duo—perfectly pairing their award-winning mascara and eyeliner—is all you need to create a super glam winged look. You’ll know Kevin Aucoin for his excellent eyebrow pencil (we cannot get enough! ), but with the release of his Sensual Skin Enhancer, all other foundations pale in comparison. If you’re not familiar with Sunday Riley’s incredible skincare range, where have you been? You can’t turn a webpage without seeing their best-seller—the Luna Fae Oil—getting rave reviews, but it’s their Martian Mattifying Water Gel Toner that will get your skin looking dewy and blemish free. One spritz of Herbivore Botanicals Rose Hybiscus Hydrating Face Mist and you’ll be hooked. Packed with pure plant extracts this hard-working spray will leave your mug looking hydrated and your pores non-existent. Pop one in your desk drawer for dewy, happy skin. For limbs with an other-worldly glow, this gorgeous scented bronzing oil and highlighting duo from French Girl Organics will make you look as though you’ve just returned from a month in the French Riviera. Buly has a rep for its oh so gorgeous packaging, but it’s their hard-working pommade we can’t get enough of. With notes of Cedarwood, African Marigold, lemon and bergamot, Byredo’s Bal D’Afrique is the scent you’ve been looking for. 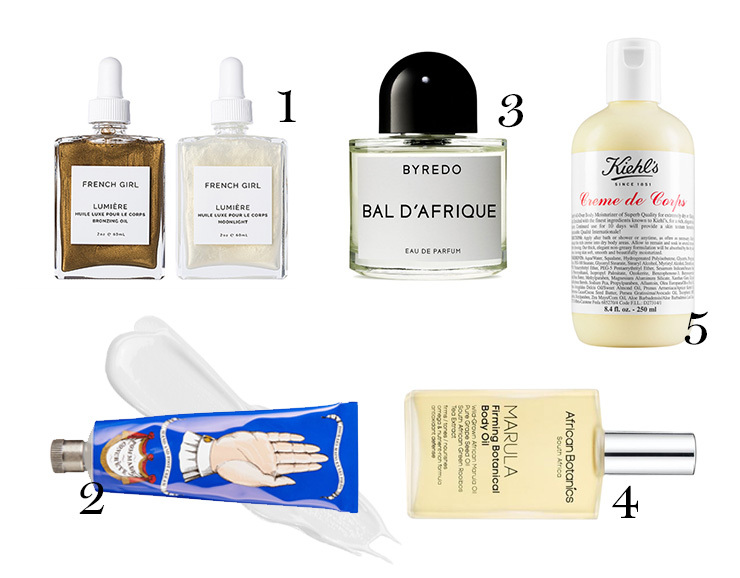 Make (permanent) room in your beauty cupboard. The incredible blend of organic botanics makes this body oil a total beauty must-have. Usr on damp skin for supple and perfectly soft limbs. Probably the most perfect body cream ever made, Keil’s Crème de Corps is thick but lightweight (ideal for the Aussie climate), smells heavenly, oh, and makes your skin very, very happy. Beach babes that like the really good waves need to hit up Ouai’s Wave Spray. Infused with rice protein, this magical potion is kind to coloured hair, while creating the perfect tousled look—minus that crunchy feeling. After some serious root lift minus the chalky feeling of a dry shampoo spray? Rub Bumble and Bumble’s Prêt-à-Powder into day old hair for instant, lasting volume. If you’re a slave to the dryer and straightening irons, show your tresses some serious love with Rodin’s Hollidot Luxury Hair Oil. The luxurious oil leaves dull hair looking shiny and healthy. We pay all this money to make our hair look lush af, then spend a day at the beach and ruin it. Protect your assets with Sachajuan’s Hair In The Sun; perfect for the beach and as a heat protecting styling cream. 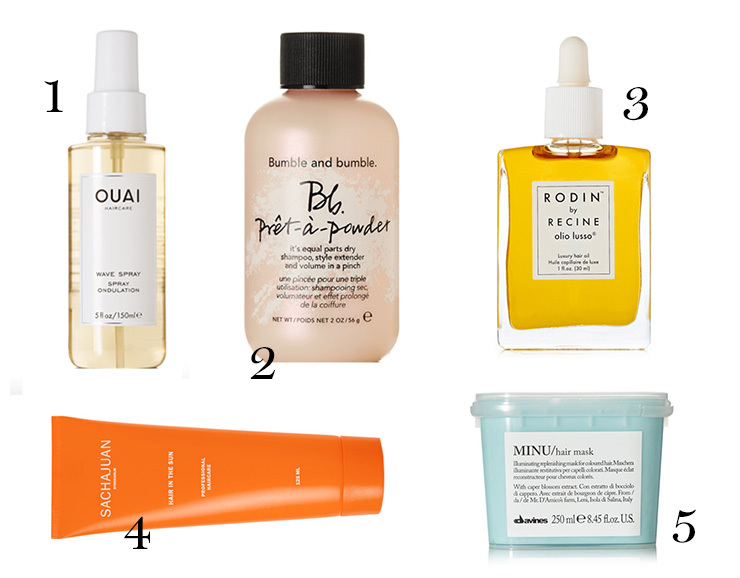 Davines Minu Hair Mask is the answer to your parched hair woes. Slap it on twice a week to thirsty strands and watch as your hair miraculously loos as though you’ve just made a trip to the salon. After more tips and tricks? Check out our review on Hollywood's hottest hair brand.